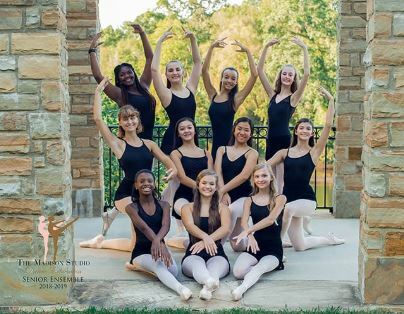 The MSDE Dance Performance Ensemble, consisting of Ensemble members, Apprentices, and Juniors, represent a higher standard of dance excellence. Membership, by invitation each year, in these new groups will be an honor and privilege afforded only to the most dedicated, promising dancers in this area. Must be able to attend weekend rehearsals when choreography is being set, and for pending performances. Ensemble, Apprentices, and Juniors must attend the Thursday class specifically set for you on Thursdays 6:20-8:00 pm. Additional rehearsals will be set as needed, usually Saturday early afternoons. Ensemble members are responsible for payment for their own costumes, which become your property. E-mail jmad5699@gmail.com if you have any questions. 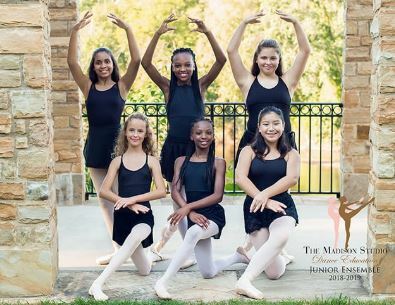 The MSDE Performance Ensemble was created in 1995 by Ms. Jane Madison, Director of MSDE, as an outlet for students wishing to expand upon their regular dance classroom study. Invitation letters are sent at the end of each dance year to selected students who have demonstrated good technique, discipline, stage presence, and the ability to work well with others. Generally the ensemble members need to have studied at least three years, be proficient in Ballet and Contemporary, be at a skill level to learn quickly and perform the choreography well. Ensemble rehearsals are held weekly, with company class or rehearsals generally on weekends, with times posted according to specific choreography being worked on. The Ensemble performs by invitation in community events throughout the year at schools, churches, retirement villages, children’s homes, and at special programs at theatres and auditoriums in the Southeast. 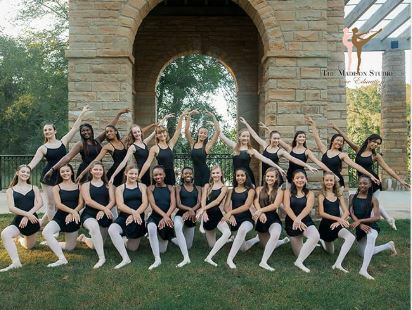 The Madison Studio Performance Ensemble is not a competition team - our goal is to perform as often as possible at many different venues to give dancers experience on all types of stages and exposure to all types of audiences. Commitment, dedication and loyalty to the group are necessary requirements for the success of the Company and its members. 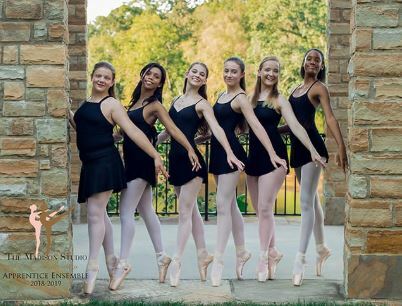 MSDE Ensemble dancers have gone on to study in ballet company summer intensives, to become dance majors in college, professional dancers, and to become teachers and administrators in the arts. Watch the lobby boards at the studio, Facebook page, and on this website page for news and notices pertaining to The MSDE Ensemble.